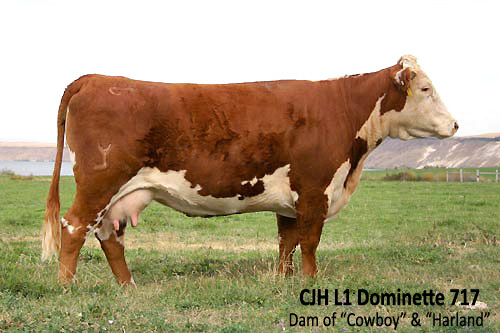 Straight Harland breeding and he is out of the same dam as COWBOY. HARLAND TOO has a tremendous EPD profile as well as the look of a herd bull. Phenotypically, HARLAND TOO is hard to fault with ample muscle and IS extra correct on his feet and legs. Actual ribeye measurement of 14.9 with a ratio of 117%. IMF ratio of 129%. 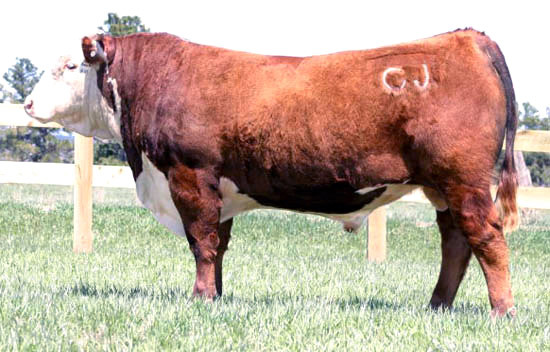 A low birthweight sire and still sires top performance and muscle. He also sires extra carcass cattle for IMF and Ribeye. 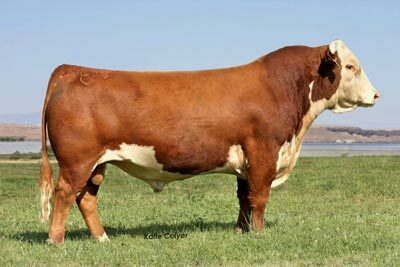 Used heavily on heifers and his first daughter are in production this spring.